As known in old scriptures in various ancient cultures throughout the world, there is a reference to this event into which we are entering at this time and space, on the voyage of our solar system through the Milky Way. The intense increasing cosmic energy our solar system is exposed presently, provides the possibility of a quantum leap into a different evolutionary dimension. The embrace of a new consciousness is awaiting. We have been given choice, and as human beings we can choose at this time to become conscious. The opportunity is given by our infinite intelligent source, to change our vibrations from conflict and fear to the incredible power and strength of the HeartSelf-Intelligence vibration. It is the doorway to the next dimension, where fear no longer exists, where harmony, peace and love amongst each other and for each other and the planet are the norm. Systematically learn how to raise your vibration, which in turn will change your cells in the body and neurological systems. Neuroplasticity and the capacity of the brain to renew and build new cells has become a known field of research. Therefore, these changes are possible. Align with and open your Heart, thus allowing its deep capacity for love and acceptance to emerge, bring warmth, expansion and light into your systems. Improve the Heart’s coherent rhythm, as HeartSelf-Intelligence is compatible with higher vibrational words, feelings and senses. This will in turn translate in the brain, through the amygdala, into the chemicals which are received through the receptors in each cell. The cellular receptors are welcoming it. The cells love the the expansion and warmth which come with it. Open the possibility to transform our DNA and RNA to adjust to this quantum leap in consciousness, through the changes that HeartSelf-Intelligence brings at a cellular level. HIS allows for a profound transformation of physical and subtle bodies, and thus for infinite expansion in consciousness and becoming aware and one again with the source from which we emenate. 1. Heart meditations, which offer a systemic approach to unfolding the inner sensory perception, training the observer and holding focus, befriending the Heart; discover the inner Heart space; experience the Heart pulse; listen to the voice of the Heart; connect to the Heart of the Earth; discover the cosmic Heart; returning Home. 2. Exercises on ‘re-membering’ the inner voice, the inner Guru, by living and fostering qualities which resonate finely heart tuned vibrations: trust, gratitude, compassion, love, choice, joy, appreciation, beauty and more. 3. You will practice how to move from: I must -> I may; I have to –> I allow myself; Holding on to -> Letting go; Controlling -> Surrendering , from Doing to Being. 4. Life quality and self-acceptance: Using the abilities of a trained observer, aligned with the Heart, to embrace and accept the parts or patterns in your psyche that you dislike most. Life quality, that is, your vibrational frequency, corresponds to the unfolding of the capability to love and the depth of self acceptance. As this love for yourself intensifies, you align more and more with the "Self", its source and resonate with it. Its infinite HeartSelf-Intelligence is freed allowing its unlimited potential to flow creatively into expression. 5. Connection with the collective: When perceiving through the heart, the other can be recognized as a “Self” with its infinite potential. This creates a deep acceptance of the other and the awareness that we are all embedded in that larger field of collective potential which can be activated and each and all are emanating from this incredible intelligent infinite source. 6. Connection with the environment and the Earth: This deep love and acceptance will then radiate and extend to the environment, flora and fauna and the earth. Gaia can then be embraced as an alive and sentient being, following her own path of growth and evolution towards a different vibrational frequency. 7. The cosmic spiral: The HeartSelf-Intelligence invites you to return to your cosmic beginnings. Experience the intelligent infinity and the emergence of the "Self", from the center , its expansion outward into galaxies and matter to coalesce eventually in this incredible complex human body, carrying all this knowledge within. Living this new quality of life which is multidimensional, can be infinitely expanded and deepened. New levels of consciousness and exciting new experiences await. The program entails seven parts, which are to be followed in their sequential order. All meditations and exercises are built on each other and should be practiced at least seven times each, over a period of seven days, in order to benefit fully from what HeartSelf-Intelligence has to offer. Each of the parts includes several steps supported by materials such as: introductory presentations (outline of the course, basic concepts to be used, theoretical notions, models and graphics, which are all meant to describe in detail the psychology of HeartSelf-Intelligence; guided video meditations; digital books; articles and further readings; online video conferences. Once you subscribe for the course, you will receive a newsletter confirming the first online video meeting, which is meant to give you an opportunity to share and better understand what you have experienced while exercising Part 1. The online video meeting takes place between several participants and Dr. Margret Rueffler. You will receive information when the second meeting one is scheduled and you will receive guidance on how to access the remaining parts. Once the course is purchased, it is very important to follow the guidelines and materials received in the specified order and suggested time frames, in order to make sure you will obtain the most possible benefits. 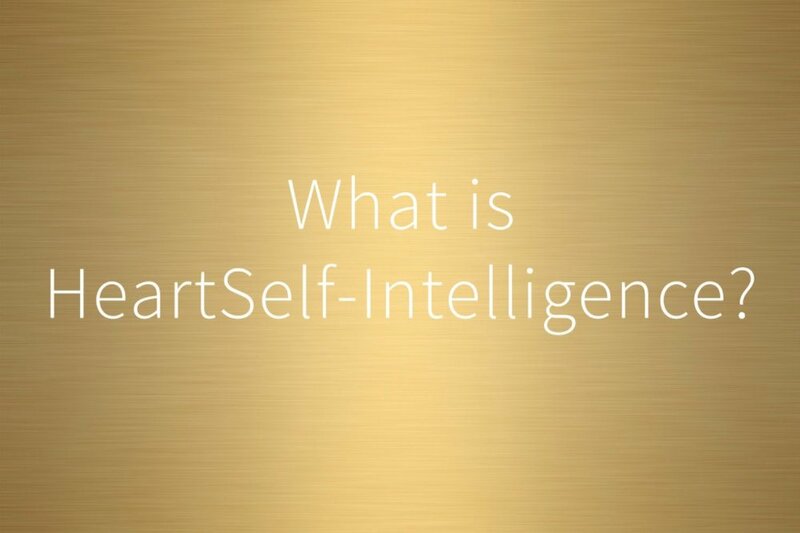 The tools to access and experience HeartSelf-Intelligence are taught internationally, in several countries. We invite you to find here a list of teachers whom we highly recommend for you as guides towards unfolding the HeartSelf-Intelligence. Analee Scott Prater teaches internationally and online and is the Field Director of a wilderness therapy company, for clinical treatment and mind-body-spirit healing to clients and staff in Bend, Oregon, USA. Her approach includes a diversity of professional educations, trainings, and practices which include - yoga, medical qigong, meditation, somatic sciences, psychotherapy and clinical counseling, psychology, consciousness studies, energy healing, dreamwork, and more. Analee also had the fortune of living, working, and studying with Dr. Margret Rueffler in Bali, Indonesia for 5 months in 2017; in which she got to learn, practice, and develop daily the methods of HeartSelf-Intelligence. Janika Epe is M.Sc. of Psychology and Yoga Teacher and offers trainings and sessions in Giessen, Germany. She received her training in transpersonal Psychology and Psychotherapy and the HeartSelf-Intelligence method for five years with Dr. Margret Rueffler and Ulrike Döring-Epe. Currently she is in training as a behavioral therapist at the university in Gießen and she explores and developed research to the effects of different yoga breathing techniques to brain, body and mind at the university for her Ph.D. dissertation.